There were 661 press releases posted in the last 24 hours and 153,991 in the last 365 days. 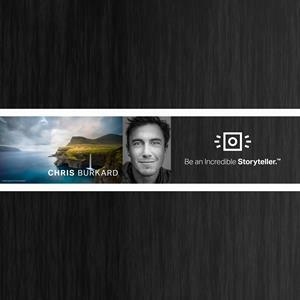 FOOTHILL RANCH, Calif., April 17, 2019 (GLOBE NEWSWIRE) -- olloclip, the pioneer in accessory lenses for cell phone cameras, today announced its collaboration with professional photographer and adventurer Chris Burkard. In a new video from olloclip, Burkard details how the olloclip lens system paired with his iPhone is a go-to tool for capturing photographs of his adventures around the world. 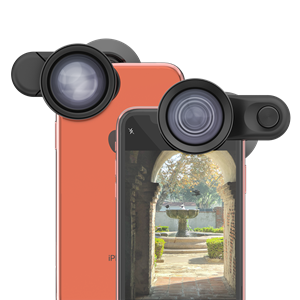 The simple lens and clip system allows any cell phone user to create exceptionally unique content by easily clipping a variety of interchangeable lenses onto their cell phone camera. The various lenses can double the camera’s field of vision, add telephoto effect, turn the phone camera into a 21-times magnifying glass, and more. /EIN News/ -- To coincide with this exciting partnership, all Apple Stores world-wide are now stocked in-store with olloclip’s award-winning mobile lens system for Apple’s Xr, Xs and Xs Max model iPhones. Having been in Apple’s stores since 2011, olloclip is proud to offer a suite of iPhone-specific lens accessories and demo’ing experiences through a robust in-store retail experience at Apple’s 500-plus brick-and-mortar stores spanning 24 countries. ABOUT olloclip: Founded in 2011, olloclip is the world’s most-awarded mobile lens. The brand has been issued over 100 patents worldwide and recognized globally for class-leading design and technology. Leveraging the phenomenal success of its category creating original product, the 3-in-1 Lens, olloclip remains committed to finding new and exciting ways to enhance the mobile photography category—and to making inspiring photos and video fun and easy to capture on mobile devices. From professional photographers to every day picture takers, these products make every phone camera do more.